After an 11-5 2012 season, the Mammoth looked like 2013 was going to be their tank year (a la the 2012 Stealth) when they started the season 2-7. They decided that goaltending was the problem, and promptly got rid of the old guard (Matt Roik and Chris Levis) and went with the kids (Tye Belanger and Dan Lewis, whose combined age was lower than Roik’s GAA). This proved to be a good idea, as they finished the season 5-2, while Belanger finished 5th among starters in GAA and 4th in save percentage. Acquiring veteran and legend Casey Powell from Rochester in March didn’t hurt either; by season’s end, John Grant was the only Mammoth with a higher points-per-game average than Powell. The Mammoth offense got one boost and a couple of big hits in the off-season. They acquired Drew Westervelt, who’s been a 50+ point-per-season guy in Philadelphia for five years. Hopefully he can give a boost to the Mammoth offense, which was the lowest-scoring in the West. But instead of complementing Grant, Powell, and Prout, he’s basically replacing two of them. Just before the rosters were due to come out, Casey Powell announced that he would not be able to play with the Mammoth for some unspecified period of time, and for unspecified personal reasons. Whether he’s out for a few games or the entire season is anyone’s guess. And then when the rosters were announced, Gavin Prout’s name did not appear. The former captain was released, and so the Mammoth are down one Powell and one Prout and up one Westervelt. Also missing from the roster, Ilija Gajic and Ryan Hotaling, who were both traded away this off-season. Gajic took 275 face-offs and Hotaling took 122. The rest of the roster combined for all of 38 face-off attempts and only 4 wins. For a second I thought this was a big oversight until I remembered who they got in the Gajic trade – Bob Snider. Snider’s only competition for the honour of Best Face-off Man in the NLL over the last three seasons has been his brother Geoff, so I imagine the Mammoth will be just fine in that category. The Mammoth also traded Rory Smith to the Bandits for Carter Bender. Bender was released during training camp, but Smith had toned down his reputation as a pure fighter and turned himself into a tough defender. In addition, Richard Morgan retired, leaving the Mammoth without a single player over 6’5″. Only two teams allowed more goals than the Mammoth last year, and losing Smith and Morgan won’t help their defense to turn that around. Interesting stat: four Mammoth players had more than 30 penalty minutes last year: Rory Smith, Ilija Gajic, Richard Morgan, and Chet Koneczny. Koneczny is the only one left on the team. The Mammoth used four different goalies last season, and only one of them is still with the team. Tye Belanger gets the nod as everyday goaltender, while Dan Lewis was released in favour of draft pick Dillon Ward. Tye Belanger looked pretty good in his 1/2 season stint as the starting goaltender. Can he pull that off for an entire season? Will Casey Powell return this season? Will he return to the NLL at all? Sean Pollock. Pollock has been a 3+ point-per-game guy for six of the last seven years. Pollock is a righty, so with Powell and Prout (both rightys) gone, Pollock may see a lot more floor time this season. 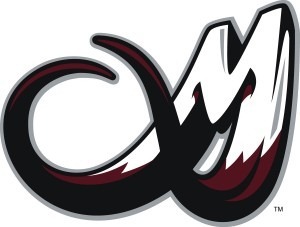 This entry was posted in Colorado Mammoth, Preview. Bookmark the permalink.